Horizon Properties Pune, with 10 + years of experience and industry knowledge, is instrumental in providing construction services to the clients in the city of Pune. 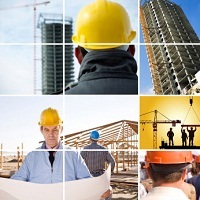 With our help, one can complete the construction of any sort of residential, commercial and industrial property. We are backed by a crew of qualified construction engineers, coordinators, supervisors and associates, who are entrusted to complete the undertake construction work meeting quality requirements and within the specified timeline. Besides, we have hired quality personnel, who keep vigilance on the entire project and ensure the safety of workforce and neighbors. We are based in Pune (Maharashtra, India) and can be contacted for constructing a room in a building or the entire establishment.